The Election Commission will have the preparation to use electronic voting machines (EVMs) in at least one polling station of 300 constituencies each in the general election to be held in December next. Though the commission will take more time to take the final decision on the EVM use in the 11th national election, it has started taking preparation in this regard, said officials at the Commission. As part of that, the EC is going to arrange a two-day EVM fair in the city by October 15 next to enable people to see the machine. The Commission, however, has no plan to invite its main stakeholders -- representatives from political parties -- to visit the EVM fair, which is likely to be held at Bangabandhu International Conference Centre (BICC). Students from different colleges and universities as well as 10-15 people from different age groups from every ward of Dhaka city corporations will be invited to visit the fair, according to a decision taken at a meeting of the EC Secretariat held on August 28. "As per the meeting minutes," EC Secretary Helaluddin Ahmed said, "We've to take preparation from right now if the EVMs are used in all upazilas and city corporations, and at least one polling station of each 300 parliamentary constituencies across the country." The meeting decided to open a registration page in the EC website for the possible visitors to the EVM fair. It will remain open to public from 3pm to 9pm on the first day and 9am to 9pm on the second day. Its inaugural session will be held from 11am to 1pm on the first day. EC officials said though the meeting did not decide to invite political parties to visit the event, they can visit it as it is open to all. At the event, the registered visitors can cast votes through the electronic machines, they said. 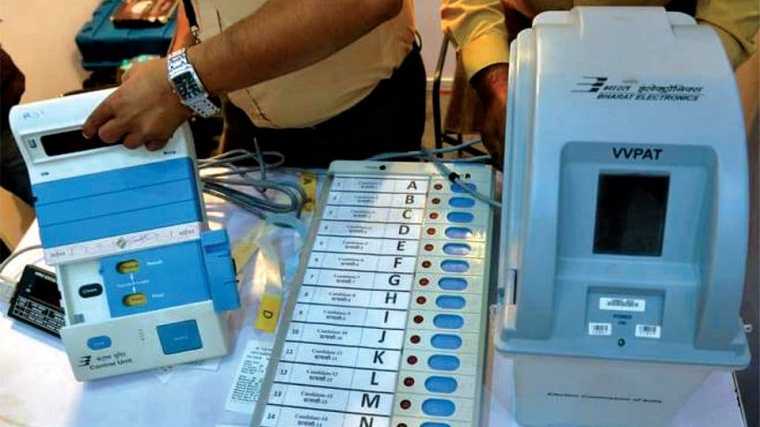 The EC on August 30 last decided to propose the amendment to the Representation of the People Order (RPO) incorporating a provision to pave the way for introducing the EVM use in national elections as in local body polls. However, the decision was taken at a meeting of the five-member commission amid boycott of Election Commissioner Mahbub Talukder who placed the 'note of dissent' over incorporation of EVM provision in the RPO. He said the EVM use in the national election in a hurried manner will invite controversy as it has not yet gained public trust. Chief Election Commissioner KM Nurul Huda, at a press conference after the meeting, said they took the decision to amend the RPO incorporating the EVM issue, but they were yet to take the decision whether the EVMs will be used in the next general election. Besides, the EC has sent a project proposal to the Planning Commission to procure some 1.5 lakh EVMs at a cost of Tk 3,821 crore. The EVM project is likely to be placed in the next meeting of the Executive Committee of the National Economic Council (Ecnec) for its approval. The EC needs some 4 lakh machines to arrange the national election fully based on EVMs across the country. The CEC on September 3 said the EVM use in the upcoming national election will depend on enactment of law, stakeholders' acceptance, attaining of capability and overall environment. Noting that the machines instead of ballot papers will be used on a random basis, he said the EVM will be used in the national election provided the environment remains favourable. Though the ruling Awami League supports the use of EVM in the general election, BNP and its like-minded parties oppose it. The EC has been using the EVMs in local body elections since 2010 when the ATM Shamsul Huda-led EC first used EVMs on pilot basis in a few polling stations in Chittagong City Corporation polls. But these were different from the existing EVMs.